The BBC has renewed their TV adaptation of Philip Pullman's His Dark Materials for a second season, which is impressive as Season 1 is still shooting and may still be a year away from airing. The BBC, Bad Wolf Productions and New Line Productions are working on the project, which is envisaged will span five seasons of eight episodes apiece. The TV series is apparently one of the most ambitious in the BBC's history, with the cost of the daemons cited as a major issue. Although the show isn't in the Netflix/HBO band (usually around $6 or $7 million per episode for a new show), it's apparently not far off and shows a new ambition by the BBC to compete with American studios in terms of scale, at least for certain signature shows. Whether this means they're going to give Doctor Who a much-needed budget increase after years of starving their most successful drama series of funds is another question. 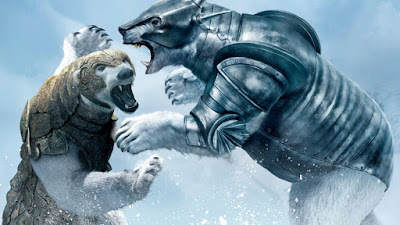 His Dark Materials will continue shooting through the end of this year and will air on the BBC in the UK in the second half of 2019. American broadcasters HBO and Netflix are still competing for the US rights. The early renewal means that production should be able to roll into the second season and allow the BBC to air the seasons more closely together than has been the case for some of their recent shows.